Welcome to the Colgate complaints department brought to you by HissingKitty. Experienced poor customer service? We make it easy to file a formal complaint against Colgate online. Simply use our free form and your feedback will be instantly forwarded for review. Need to contact the Colgate corporate office? We have the mailing address, phone number, and email address listed below. the bristles on the tooth brush came off while I was brushing my teeth,now I have one stuck in the back of my mouth under my tongue way in the back of my mouth.Its very irritated.,I been trying to stick my finger back in my mouth to get it out..i been trying to get the tooth brush bristie out for two days.this should not happen to anyone.yes its painful. your Colgate sensitive Prevent & Repair toothpaste eventually poisoned me;it gave me tooth and jaw pain,more and more so it finally gave me headaches so bad i wound up in Peace Health hospital ER.i felt drugged. it went on but later the effects wore off at home cause i got suspicious of the toothpaste cause it had keep making my teeth and jaws hurt more.i quit it completely the effects and migraines went away. i used baking soda and peroxide to clean, brush my tooth, no problems with that. I called them up reported it' i no longer had the box to ID. the number printed into the bottom in white plastic they wanted could not see it at all.--they tried to get the lot number.we could not read that.I don't know if their company really wants reactions; i wasn't trying to sue them.the fed. govt. form would not take my complaint on the food and drug administration. i will report it to Trump at the White House. I live in the state of Virginia. When I go to my dentist for my regular checkup I am given Colgate sample toothbrush, floss and toothpaste. I really like the toothbrush and floss but CAN NOT FIND THEM IN ANY STORE when I need to replace or refill, i.e. Ultra Soft Colgate SlimSoft toothbrush and the very thin Colgate floss. Haven't been able to purchase what I want online either. WHY?!!!! I do not like the large flip top toothpaste cap and when I purchase it the box does not indicate what cap the tube has. Once I open the box I cannot return it. Please indicate cap style on the box. Thanks. 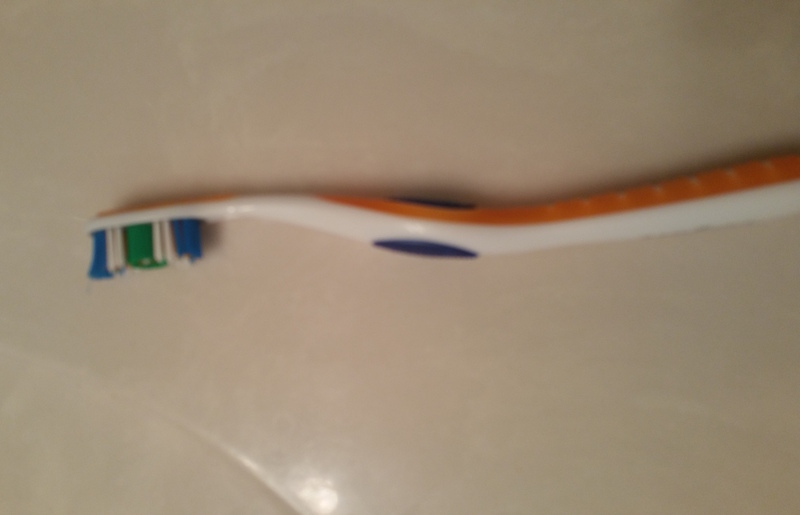 I purchased 2 Colgate toothbrushes two weeks ago for myself and my husband every time I use my toothbrush the blue Brussels keep coming off. I had a Brussels in the back of my throat half of the day gagging on it. 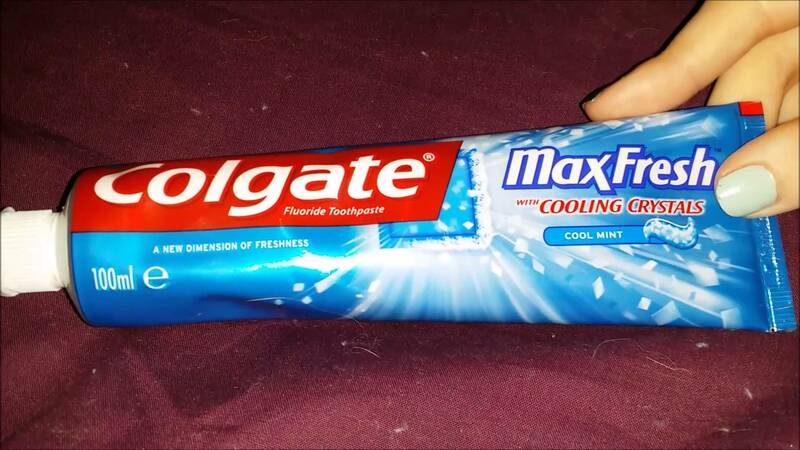 I changed from Crest toothpaste and used Colgate Max Fresh. After about two weeks my gums and teeth were sensitive and I also had a throbbing sensation. I called my dentist to make an appt. and then realized maybe it was the toothpaste. I changed back to Crest and after 2 or 3 days my teeth and gums were back to normal. Whatever is in the Colgate toothpaste needs to come out. Do you realize how many people spend money to go to the dentist to find out what's going on with their teeth and gums and the dentist can't find anything. I think it's terrible and there should be a class action lawsuit. I called my dentist and told them to tell everyone not to use Colgate toothpaste. Colgate and many other brands of toothpaste have SLS in them. I am finding that the older I get the more I understand what SLS (Sodium Lauryl Sulfate) does. It is used as a cleaning agent to keep teeth bleached and white but also causes damage to teeth as well as the gum lining of your mouth. Just be aware before you purchase Colgate toothpaste, check the ingredients list! We frequent numerous Target Stores, mostly in Southern California and the San Francisco Bay area .For the past year or more, each Target is regularly out-of-stock in many departments. It is not rare,but very frequent. The out-of-stock problem is on everything from toothpaste to shampoo, from cosmetics to housewares, from chocolate bars to paper towels, from mens underwear to ladies wear, from purses to sneakers, from linens to glassware. Even aspirin or Nyquil is rarely in stock even though the shelf price tags are present. This situation is common in San Mateo, in Redwood City, in Cathedral City, in Palm Desert and Palm Springs, and even Portland, Oregon. 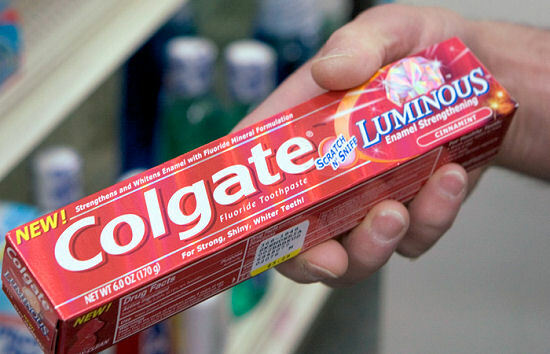 The best selling brands like Colgate toothpaste with 6 or 8 varieties, may often only have about 3 varieties on the shelf. It is ridiculous, and repetitive. We are about finished wasting our time to shop in Target when we cannot depend on product availability.